Take a look at the sub-sections opposite to help you find out about Poi and the art of Poi spinning plus articles on the different uses of Poi, its' benefits, the historical origins of Poi and also the present day phenomenon of this highly engaging activity. I started poi 1997, 2-3 years practicing myself, then I started to teach. 10 years of teaching poi and it has become an important part of my life. 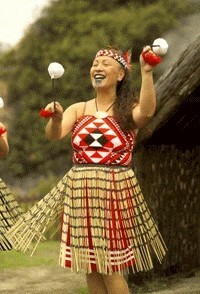 Poi originates from the indigenous Maori people of New Zealand, the word 'Poi' simply means ball. For over a thousand years Maori women have danced the Maori Poi, a dance with balls attached to strings, swung rhythmically to keep there hands flexible for weaving.